The Clifton Baumatic men's watch boasts a 40mm two-toned silver and rose gold tone stainless steel case, with scratch-resistant sapphire crystal glass over a crisp classic white dial. 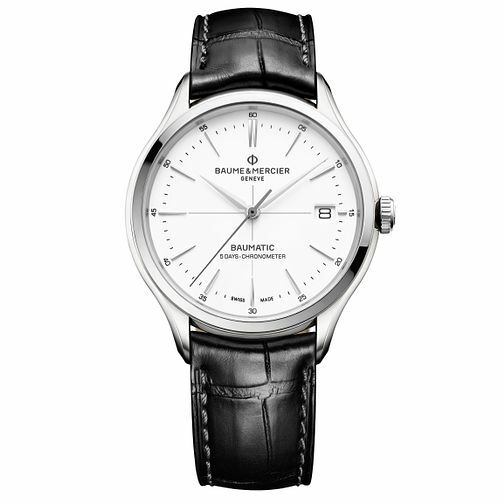 Sleek steel hour markings compliment the three slimline hands, and handy date display window at the 3-o-clock position. Complete with a black alligator leather strap, a classic timepiece. This watch is water resistant up to 50 metres.